A first class hotel with a service minded staff and environmental certification. 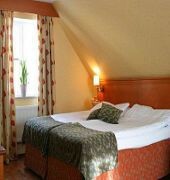 The hotel is located in the middle of the town, near the sea inside the city wall of the World Heritage town of Visby. 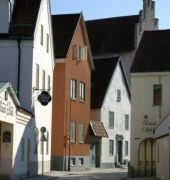 Beautiful medieval houses and alleys in Visby surround the hotel.BEST WESTERN Strand Hotel is the old Visby Brewery who became a hotel in 1982, from a family owned hotel with 13 rooms to one of the largest hotels in Visby today with 110 rooms and suites.Ferry and airport are within easy reach.